If fertility issues have left you frustrated and feeling hopeless, in vitro fertilization (IVF) may increase your chances of having a baby. At the Centre for Reproductive Medicine in Lubbock, TX, Dr. Janelle Dorsett can help you navigate the various aspects of IVF, relieving stress and helping you understand the process. Blood testing is an important part of preparing for IVF, as it helps our team gain a better understanding of your health and fertility. Here, we discuss the blood test schedule before IVF, what the assessments measure, and how to make sense of the results. Patients struggling with fertility can increase their chances of conceiving with IVF, one of the most effective treatments of its kind available today. During IVF, female patients are given fertility medications to promote ovulation. The eggs are retrieved from the ovaries and combined with a sperm sample. The sperm will then fertilize the egg in a controlled laboratory setting. After three or five days, the embryos will be assessed, and our team will transfer those that are most viable to the uterus. Fertilization of eggs in a laboratory before transferring them to the uterus dramatically improves the possibilities of conception for those suffering from infertility issues. The ideal time to take a blood sample is on the third day of the patient’s menstrual cycle. This timing allows for accurate measurement of hormones in the body to determine if ovulation is occurring. Specifically, hormone levels inform our team about egg quality and the ovaries’ ability to mature an egg every month. If you are unsure as to what justifies the third day of the menstrual cycle, full menstrual flow (not just spotting) by 5 p.m. is considered the first day of the cycle. If you notice a full flow around noon on Sunday, our team would want to schedule blood work for the following Tuesday. Besides Egg Quality and Supply, What Else Is Measured? Estrogen: This vital female reproductive hormone comes from the ovaries, primes the uterine lining, and encourages follicle production. Follicle-stimulating hormone: Emitted from the brain, this hormone grows the egg via ovarian stimulation. Luteinizing hormone: Necessary for follicle maturation, this hormone helps with the final release. 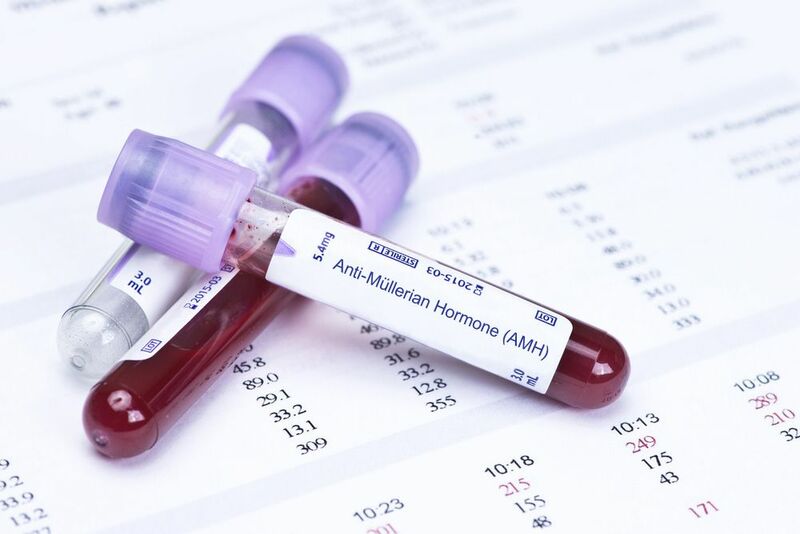 Anti-Müllerian hormone: Released at the start of each menstrual cycle, this hormone is an indicator of the ovarian reserve’s size. Each case will vary and additional hormone evaluations may be required during the blood tests. Dr. Dorsett will also use information from ultrasounds, follicle counts, and your medical history to formulate a personalized treatment plan to make your dream of having a baby a reality. Each year, IVF treatments help produce more than 17,000 healthy babies in the United States. Dr. Dorsett and her experienced, compassionate team are ready to help you and your partner begin building your family. If you need help achieving pregnancy and would like more information about blood testing or are interested in IVF treatment, call our office at 806-788-1212 or contact us online anytime.